Looking for a commercial metropolis with a sense of the South but has a touch of European flavor? Cincinnati, OH is the answer to your search. Bus travel to Cincinnati, a place rich in architecture and culture, is easy and comfortable through charter bus rentals. Cincinnati is a city located on the north bank of the Ohio River near Indiana. Sports lovers come to Cincinnati using charter bus rental services to watch an important tennis tournament, the Cincinnati Masters. It is also home to two major sports teams, the Cincinnati Reds and the Cincinnati Bengals. Charter bus travel services can take art enthusiasts, music lovers and theater fanatics to art museums, music halls, theaters and opera houses. Group charter bus rentals are great for touring the large collection of historic architecture. You can relax while enjoying the historic buildings and other architectural projects. Charter bus travel with a group of friends, colleagues or family and even school field trips are more exciting with charter bus rental services in Cincinnati. Groups big and small can benefit from bus travel and many times it is more affordable than you might think. Cincinnati attractions are within your reach and made possible by Cincinnati charter bus travel services. There are lots of must see attractions in Cincinnati . The Aronoff Center for the Arts is the home to Broadway in Cincinnati. There are several museums to visit like the Cincinnati Art Museum, American Sign Museum and the Cincinnati Museum Center at Union Terminal. Charter bus travel includes attractions like the Zoo and Botanical Garden, National Underground Railroad Freedom Center and Smale Riverfront Park. The Cincinnati Zoo and Botanical Garden are also great places to visit because of their award winning exhibits. You can also take the charter bus rentals to Krohn Conservatory, where more than 3,500 plant species from all over the world are displayed in their natural setting. What are you waiting for? Plan your next holiday, vacation, office event our outing and explore the beautiful city of Cincinnati through charter bus rental services. 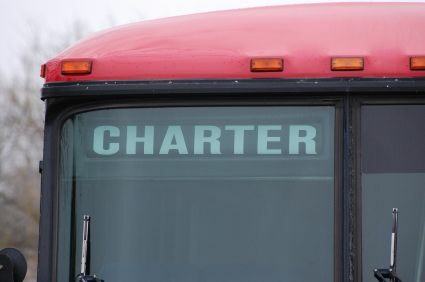 To learn more about charter bus rentals in Cincinnati, OH call 888-345-2037 today! Charter bus travel options are the right choice for corporate outings, group tours and special events. Traveling to and around Cincinnati is more convenient, comfortable and enjoyable with charter bus rentals.